Yep, quite right - ‘dio’ is indeed ‘dydy o’, well spotted. And glad you enjoyed it! How fantastic that you have some knowledge of the gallery and artists! I didn’t expect that to be honest, and thought it was pretty ‘niche’! Haha! You’ll find the regular version a piece of cake now…! I hadn’t heard of either of the artists before Beca. We have a caravan not too far away from the gallery so I’m a frequent visitor. A beautiful place for walks and so many talented artists on Pen Llŷn and surroundings! Regarding Sgwrs 11 (I think), which touched on food banks, etc. As it happens, I have also been listening to another talk with a bit of overlap. A couple of interesting words that I gleaned from it were Lloffa for Gleaning and Lloffion for Gleanings. Good quality crops that were deliberately left for the less well off. Could you use these terms to describe food bank supplies in a dignified sense? As in diverted quality supplies. Or are the terms a bit too agricultural? Or also, for Gleaning in a general (gathering of information, etc) sense or do you have to use Casglu? They are more agricultural. Although there was a programme on S4C years back called Lloffa, but I don’t remember much about it. Interesting though. 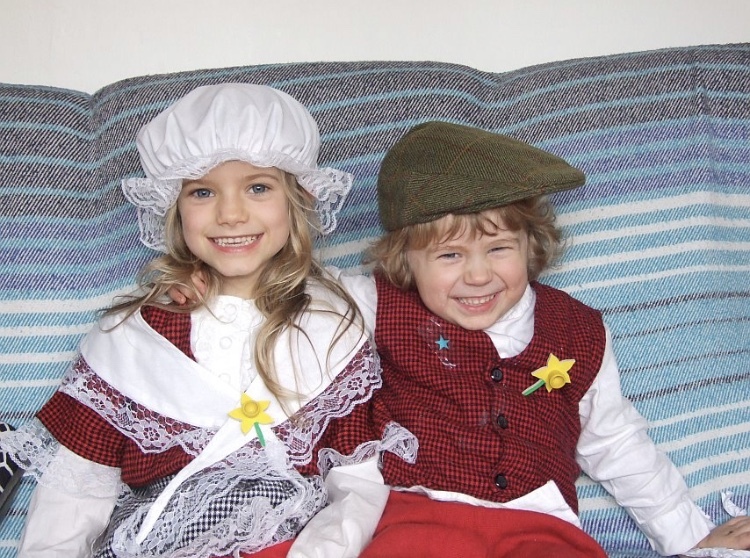 My children - a few years back now! Yes, heard Aran yesterday - great!! And yes I would love to hear him talk about the experience teaching JV. Not many clues, but very nostalgic! Doh!! Sorry about that! Just keeping you on your toes…! Hi all! Sgwrs 21 is up!